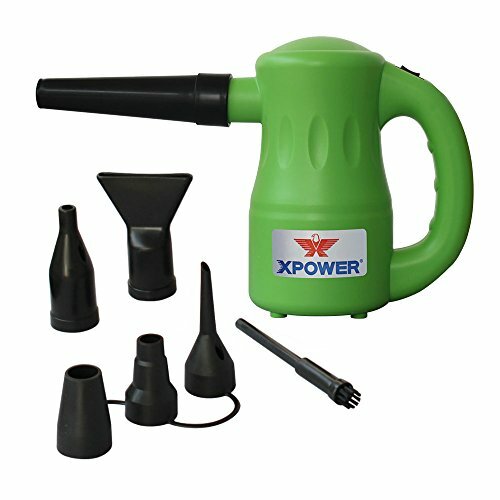 More than just a replacement to your canned air dusters, the XPOWER Airrow Pro Multipurpose Electric Duster, Air Pump and Blower (Green) allows you the power and flexibility to dust, pump air and dry a variety of surfaces. Unleash over 500 watts of power to blast away dust from window blinds, keyboards and electronics, underneath appliances and more. By using the Airrow Pro, you will feel confident about not only eliminating the cost of canned air dusters, but freeing your home or office of toxic inhalants as well. Powered only by electricity, the Airrow Pro is completely free of dangerous fluorocarbons and other deadly propellants. If you have any questions about this product by XPOWER, contact us by completing and submitting the form below. If you are looking for a specif part number, please include it with your message.